We can cater for all occassions; whether it’s a birthday celebration, party, pop-up event or picnic we will create a menu to make it truly memorable. We’re happy to cater for business events like photography shoots or launch parties. Get in touch to find out more. Use our enquiry form to get in touch with details of your event. We’ll get back to you as soon as possible, and if your date is available we’ll get you booked in. Then we can arrange to chat on the phone or by email to find out more about your requirements before getting to work on your menu. What food can we expect? We’ll create a bespoke menu to make your event special and memorable. The menu can be inspired by your favourite ingredients or we can surprise you with something completely new. 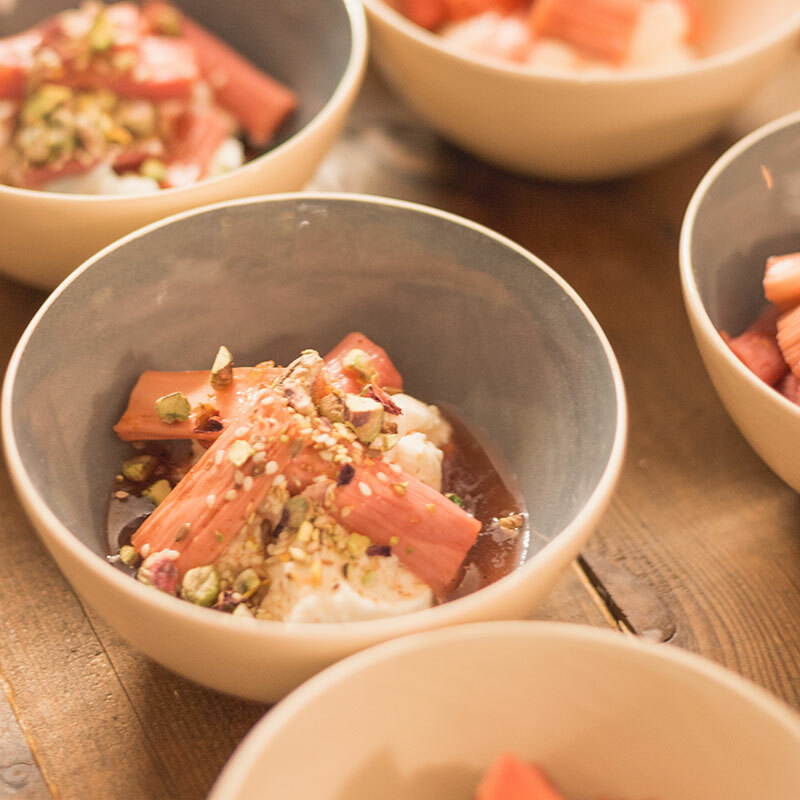 We’re inspired by chefs like Yotam Ottolenghi, Anna Jones and Diana Henry so you can expect vibrant flavours whether in big sharing plates or a refined five course feast. We’ll create a bespoke menu for your event so we can cater for vegetarian, vegan, paleo, dairy free etc. – just let us know when you book. If you have an allergy then unfortunately our events may not be suitable for you as we use different venues and kitchens and can’t guarantee that our food won’t come into contact with nuts and other ingredients. Please email us if you would like more information. We book a limited number of events each year so please get in touch with us as soon as possible to ensure your date is available. We’re happy to travel to a venue of your choice. If you don’t already have a space in mind then we can advise on unique venues across Brighton and Hove. Yes we can! We get most excited about events where we can combine our love of food and design. We work with talented florists, stylists and creatives to bring you truly unique dining experiences.